Ever wish for the old days in gaming when not everything was about the best graphics, and cel-shading was just becoming a hot trend? 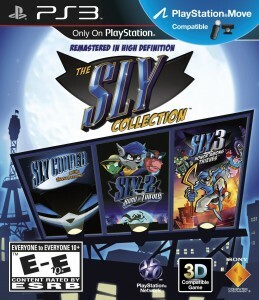 Then The Sly Collection may just be the thing that will scratch that itch of yours. The Sly Cooper games were some of the best platforming games that you could find on the PS2 and have aged so well that Sony decided to put them all together into one package. Plus with the upgrade to HD the gang is going to look better than ever. Is it enough to justify a new purchase, or a purchase at all for newcomers? The storyline varies depending exactly which game you are playing as they do not share consecutive storylines but overall each one shares similarities with one another. Throughout the games you play as anthropomorphic animals in the form of Sly Cooper in every one of the three games. In the last two games you will be given the option to play as Bentley the turtle and Murray the hippopotamus. Each of these characters has a specific skillset that the crew uses to advance the storyline, though on average you will be using Sly to sneak around, steal things, and handle the bulk of the work. Plus you will constantly be pursued by the cop Carmelita Fox who serves mostly as an antagonist but also love interest to Sly. A quick rundown of each storyline will find players of the first game controlling Sly Cooper in his quest to retrieve the Thievius Raccoonus from Clockwerk and the Fiendish Five who all have pieces of the book and serve as the main antagonists. The second game Band of Thieves will place Sly against the Klaww Gang in their quest to reassemble the villainous Clockwerk and bring the mastermind back to life. With the final game we see the team expanded as Sly and the Gang look to crack open the Cooper Vault. Each of these story lines are very unique and with the many venues you’ll be visiting each is very refreshing and even though you can experience each story back to back there is enough variety that you will not find anything stale. Sly Cooper and the rest of his gang have always looked great, you can revisit the classic PS2 titles and still be more than happy with the way that the game looks. With the transition to HD the gang looks even better. The cel-shaded graphics that Sly Cooper sports are some of the best that you can find, with the upgrade comes a crisper picture, smoother character design and even better looking characters. Each area that you visit as you travel across the world feels quite life-like, if life was overlaid with a cartoon. The streets of Venice, the dark dank jungle, an airship flying through the sky, or even snow covered mountains all are on the places that you will be visiting with Sly and the gang. These areas are very complex and quite beautiful to explore as you search around them. 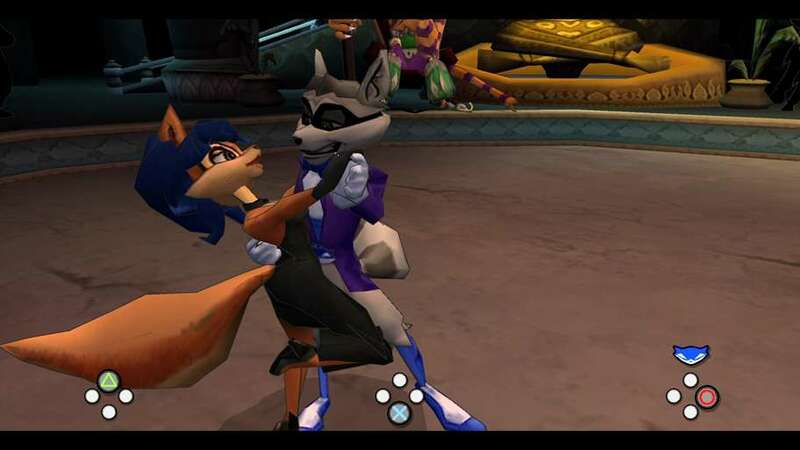 Now the Sly Cooper games for the PS2 took advantage of old school 3D graphics. This means that when you purchased one of these games they often came with red and blue 3D glasses that could be worn to produce the 3D effect. The Sly Collection sports the more modern 3D effects that utilize the new 3D TVs that are on the market today. I noticed that with 3D mode on the images were darker which required an increase in brightness but otherwise provided an immersive experience. 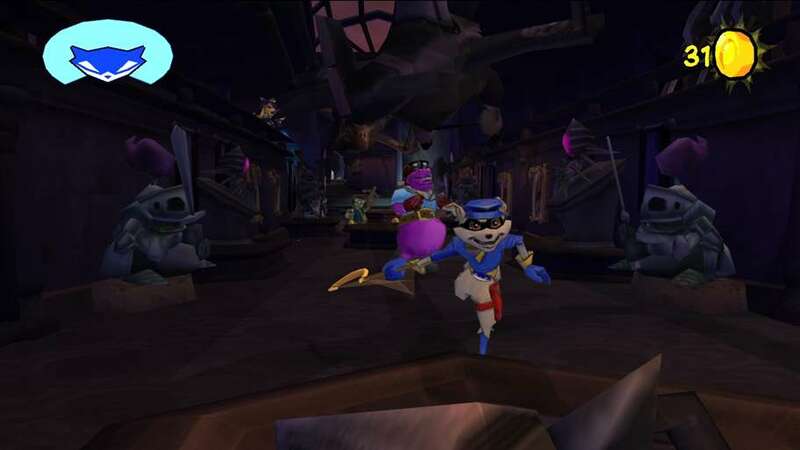 Those who have played the original Sly Cooper games will immediately recognize the voices of Sly, Bentley, Murray, and even Carmelita as all the voice work is the same as the original titles. The voice acting is very memorable and fans of the series are coming back to exactly what they know and love. The characters slide slightly into your average character archetypes such as Bentley having a more nasally sounding voice but they settle well enough without being generic. 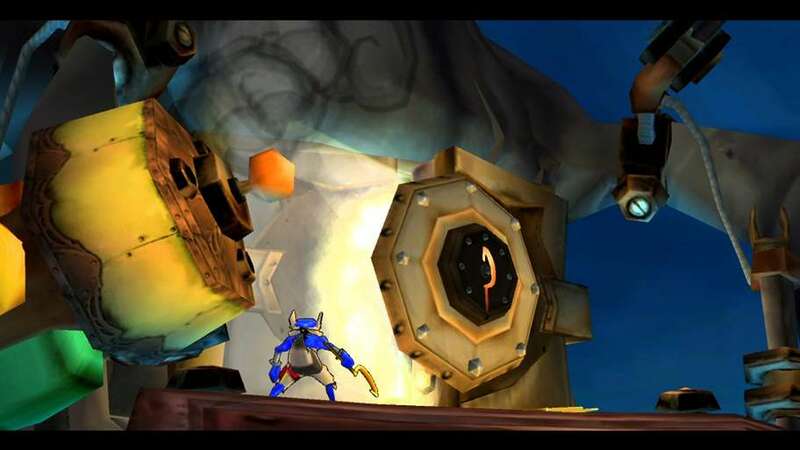 Each Sly Cooper builds gameplay around the fact that Sly is a master thief and therefore must sneak around and avoid open confrontation. Now stealth games were not new when the original Sly Cooper was released but they took an entirely new spin on the mechanic by stripping the complexities away and allowing players to venture around self-contained levels and gather collectibles. 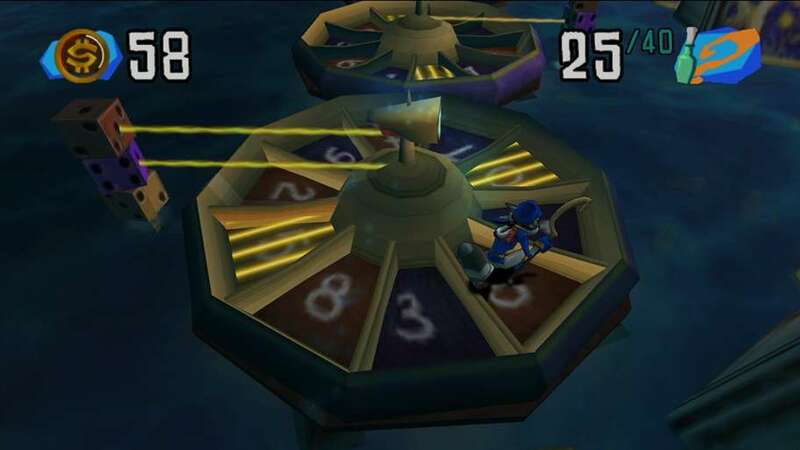 Sly Cooper and the Thievius Raccoonus epitomized the stealth gameplay by making it so Sly would die simply from one touch by an enemy and provided linear storyline progression. Now the linear storyline never did change as the games were developed, but one thing did. In Sly 2: Band of Thieves there is no longer a one hit kill system, but a health bar that allows Sly to be damaged a few times before failing his mission. Also introduced is the fact that you can now play certain levels as Sly’s allies Bentley and Murray for a variety of different missions. Sly Cooper himself is still the star however as he has noticeably more time and care placed into his missions than the other two. The self-contained levels return including a money mechanic. The money mechanic is used to buy different equipment that Sly, Bentley and Murray can use to help them beat/avoid guards and is a nice touch to mix up the monotony that players may experience. The reason I mentioned monotony is because there will be lots of time in Sly 2 where you will be forced to run back and forth from your main base to switch characters around which would have been easier to do on the fly. Sly 3: Honor Among Thieves is extremely similar to Sly 2 in most regards but has seen an update in overall gameplay and provides even more diverse missions to mix things up. Also with players going around the world to gather a large crew together there are plenty of playable characters that join the scene and flesh out the band of three. Again collectibles return in the form of bottles and the levels are still self-contained. Now you may notice that the box up there says PlayStation Move Compatible, the reason for this is that there are certain additions to Sly Cooper that have Move support. Thankfully the Move use was not forced into the game and is not required in the slightest. If nothing else some players may not even notice that there is Move support within the game due to its implementation. The Move is usable on four brand new mini-games that were created for the Move and take advantage of the Move’s capabilities. The mini-games are all more or less arcade games styled after shooting galleries as you attempt to reach the highest score you can. These additions at best are worth a small distraction but nothing more. There could have been more Move support added in, but as it stands the Move Compatibility is just taking advantage of the hype. If you have never played a Sly Cooper game before then there is literally no reason to not pick up this game collection. If you have played them before then this is a great chance to get the remastered version of each game all for a convenient price and in one package. The PS3 trophies for each game are individual and quite easy to collect; especially considering the fact that each Sly Cooper game looks even better than you will remember and has lost absolutely nothing in translation.